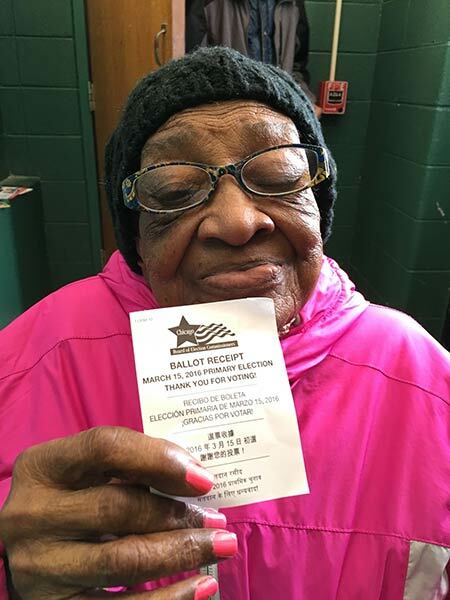 CHICAGO -- America Howard has voted in every single election - primary, presidential, midterm and general - in her long life. 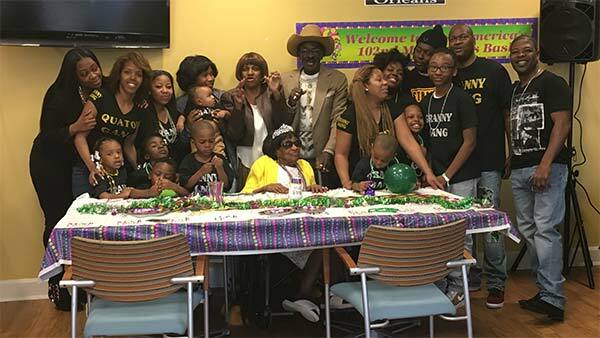 Saturday her family threw her a party at a senior community center in Bronzeville for her 102nd birthday. Before the adoption of the 26th Amendment in 1971, which lowered the voting age in the U.S. from 21 to 18, Howard would have been first eligible to vote in 1935. Her first presidential election would have been in 1936 between incumbent president Franklin D. Roosevelt and Republican challenger Alf Landon. Since then she has voted in 40 further national elections, the 40th being the 2016 primary in Illinois several weeks ago and cast her ballot for Bernie Sanders. She votes because she fought for the right to vote and is a product of the Civil Rights movement, her family said. America Howard votes in the Illinois primary just a few weeks before her 102nd birthday. Howard celebrated with four generations of her family, including children, grandchildren, great-grandchildren and great-great-grandchildren.